Baltydaniel Breeze was imported from Ireland to Australia by Icarus Park Stud in October 2008. He passed his RID inspection in the UK with the Irish Draught Horse Society of Great Britain in 2004. 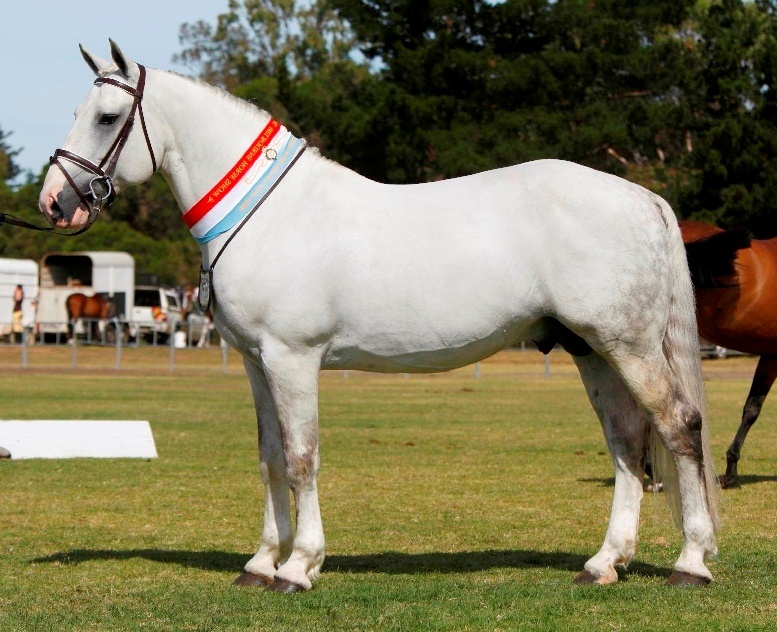 He then passed his Australian RID inspection with the Irish Draught and Sport Horse Society (Aust) Inc. He was purchased from Mrs Elizabeth Deane in Mallow, County Cork, who bred him, and owned his sire and dam. The lovely traditional draught stallion, Heather Breeze was his sire, and his dam was Miss Barthy, herself a dam of nine RID horses. Heather Breeze was the sire of three RID stallions, Cork Arthur RID, Sir Stormy Breeze RID and Baltydaniel Breeze RID. Balty has dressage points from competition in the UK. He has competed at Royal Shows, dressage, working hunter classes and showjumping in Australia and has lovely expressive movement along with a neat jumping technique. This Irish Draught can move!